New Zealand’s Great Barrier Island is, without question, the most remote place I’ve ever been. In my entire life. 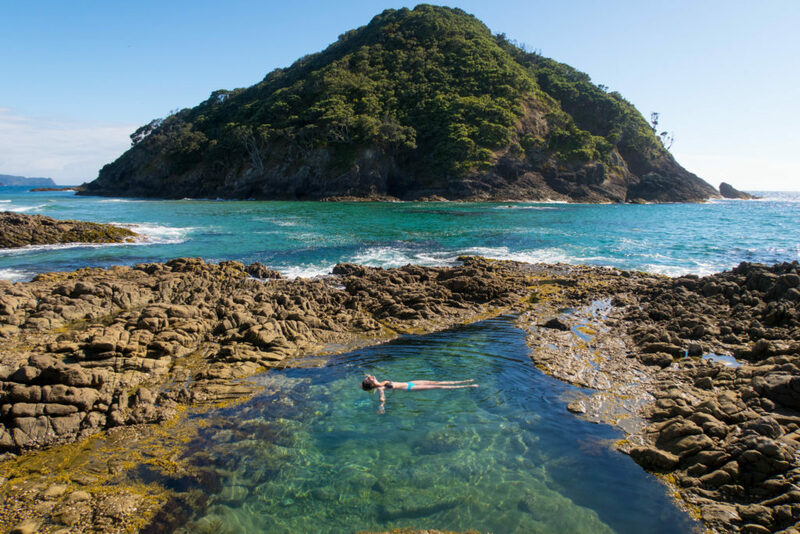 Even though this rustic, off-the-grid island paradise lies just 30 minutes away from Auckland by tiny plane, it feels like Great Barrier Island barely even exists. 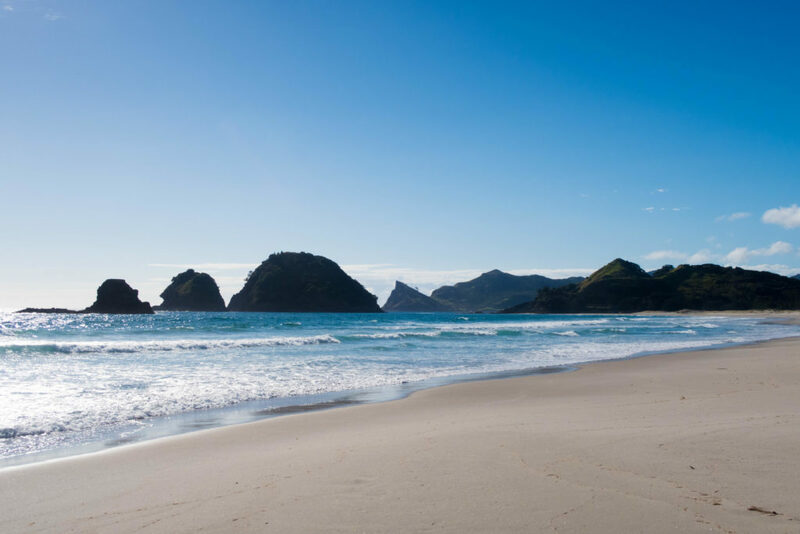 With a population of just 852 people and a land mass of 110 square miles, nobody — not even most Kiwis — know about Great Barrier Island. And even less people actually go there. So if you make the choice to visit Great Barrier Island during your travels through New Zealand, you will be rewarded. With unspoiled, white sand beaches. With incredibly beautiful and entirely uncrowded hiking tracks. With some of the world’s best stargazing. And with countless outdoor adventures that you won’t forget. 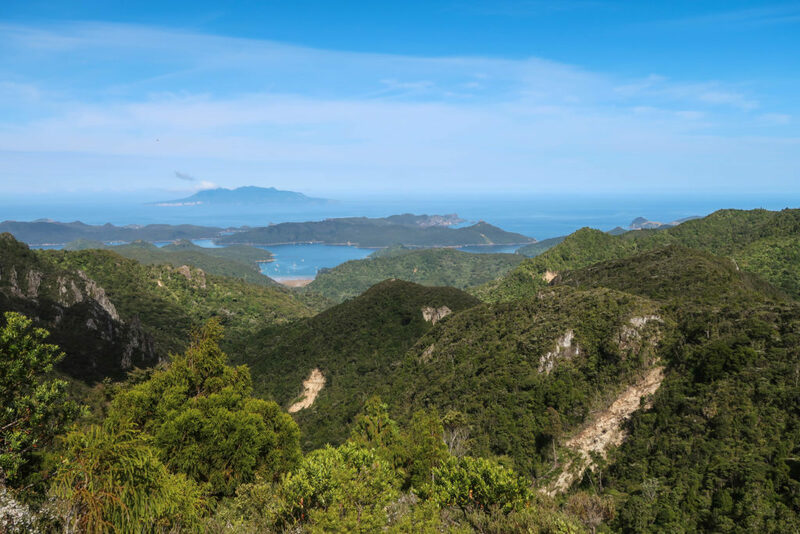 Here are 10 photos that will convince you to visit Great Barrier Island next time you go to New Zealand — plus a bit of info on what we did while on the island! After a turbulent yet stunning flight into Great Barrier Island, we made it to the quirky and basic guest house where we’d stay our first and last nights on the island. There aren’t many accommodation options on the Barrier, and while I wouldn’t necessarily recommend the place we stayed, there are two places worthy of mentioning! For your stay on the island, I’d recommend going with either the Medlands Beach Lodge (which is located on the island’s most beautiful beach – with the best waves for surfing), or the beautiful Mount St Paul Estate. 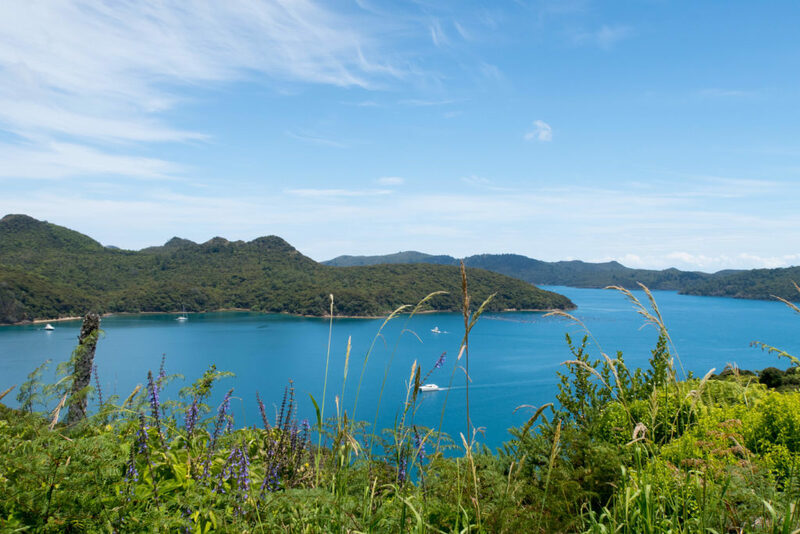 Click here to see all 13 of Great Barrier Island’s accommodation options. Our first day on Great Barrier Island consisted of exploring the beaches and bays, swimming, and taking in all of the gorgeous views. And not much else. We relaxed, prepped our food, and packed our backpacks for our three-day trek along the Aotea Track, which we’d start the next morning. 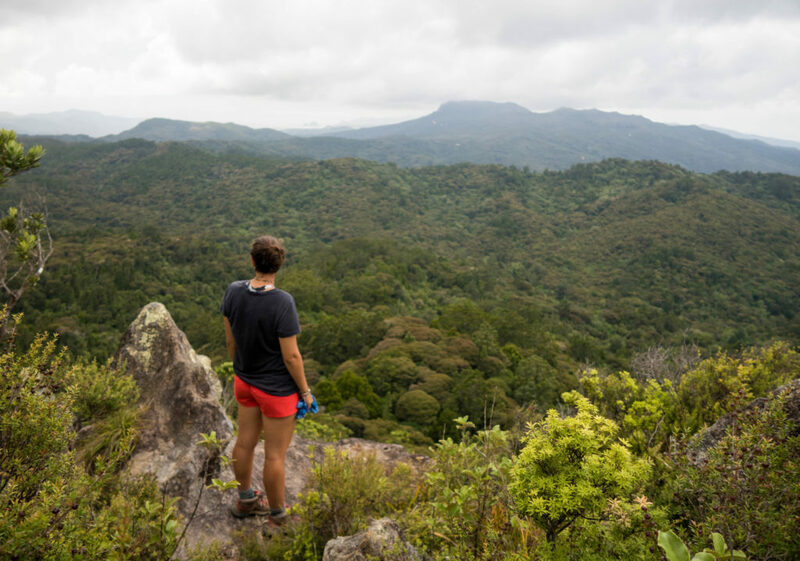 It was a lot, but the Barrier constantly rewarded us with stunning views of its lush vegetation, soaring mountains, and surrounding turquoise waters. It was beyond worth it. During those three days, I’d guess that we saw about 10 other people hiking. 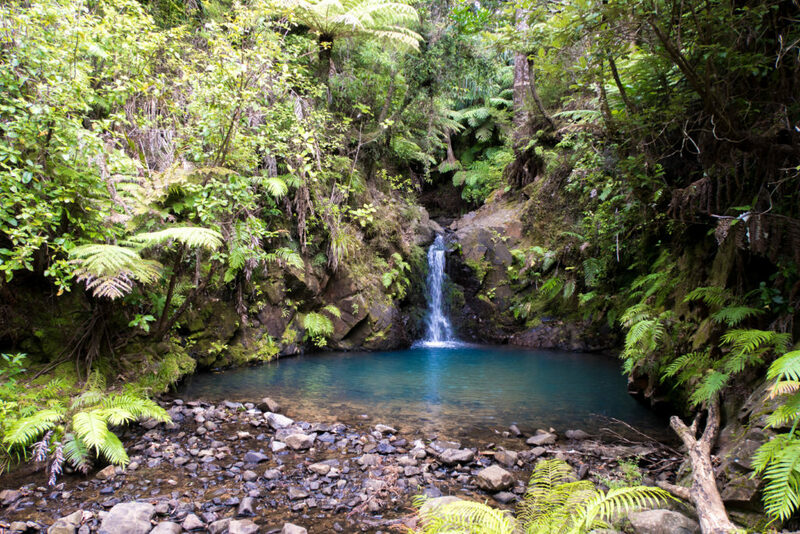 That’s just how off-the-beaten-path this island, and this hike, are! Oh, and if you’re wondering where we slept, the answer is two different huts, managed by DOC (NZ’s Department of Conservation). After finishing up such an epic hike, there was only one way we wanted to spend our last day on Great Barrier Island: eating ice cream (which, sadly, costs about triple the price it does on the mainland – I told you this place is remote!) and enjoying the island’s untouched beaches. After spending five days on Great Barrier Island, trekking through the jungle, exploring amazing beaches, gazing up at the Milky Way and the Southern Cross, and living the slow-paced island life, I can say that the Barrier is one of the most unique and least touristed places I’ve been. 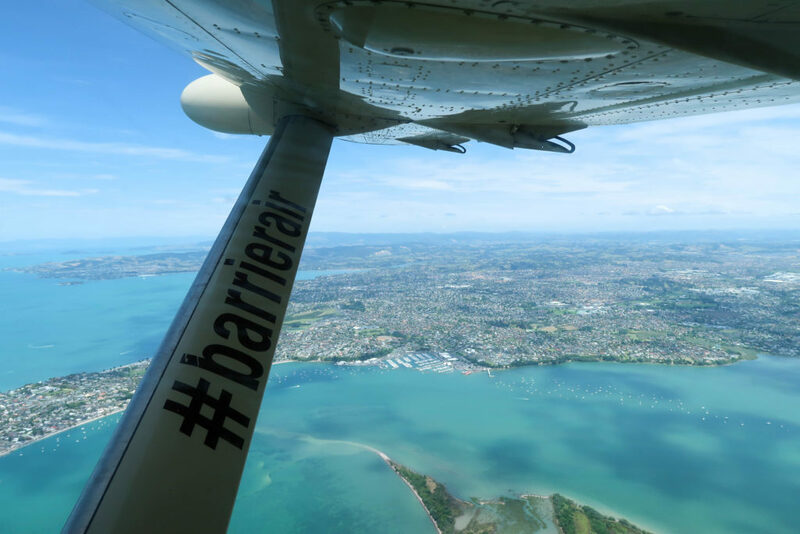 When you visit New Zealand, you can’t miss out on the beauty of the Barrier — and the awesome plane ride to get there! I hope these 10 photos helped to convince you of exactly that! 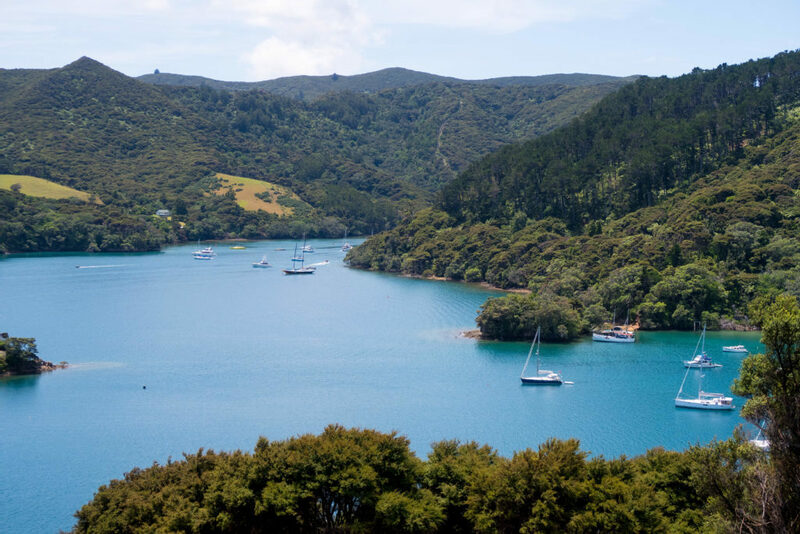 Oh, and if you’re already sold, then click here to find great deals on accommodations on Great Barrier Island! Beautiful photos! I could use a vacation to a remote island right about now haha. Did you take the aerial shots from the plane or with a drone?